Attend a 5 day sailing course at our windsurfing and sailing school at Lake Balaton and gain your internationally recognized sailing license! Learn how to sail in just 5 days! Once you have completed the sailing course and passed the test, you will receive an internationally recognized sailing license. With this license, you can rent sailboats and improve your sailing skills at your own. Practical training on stable, beginner-friendly boats. The theory lessons deal with basic things in sailing and is easy to understand and learn. 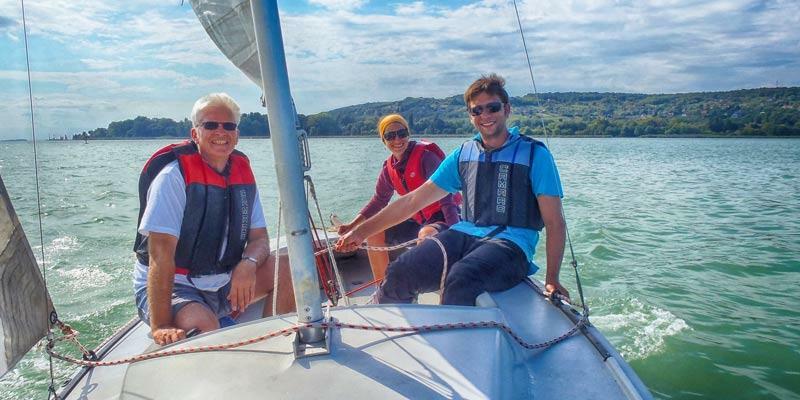 We teach in small groups with a maximum of 3 to 4 students per sailing instructor. Depending on wind strength and skill level the courses are held on up to 3 different boat classes. Theory training: safety precautions, dealing with emergency situations, water traffic rules, knots, etc. On the last day of the course you can complete a short and relatively easy test. Practical training in beginner friendly boats Theoretical knowledge, emergency situation procedures, knots, sailing code, etc. Duration: Monday to Friday, 3 hours daily, mornings or afternoons. Our advanced sailing course will take you to the next level. With personalized sailing tuition, you will learn faster tacks and jibes and gain more confidents in your sailing. You will also learn how to best setup your equipment and how to fine tune your light wind skills. Aimed at those who have mastered the basics already some time ago, but still don’t want to start from scratch. We call back your memories and lift you up to the next level of sailing. 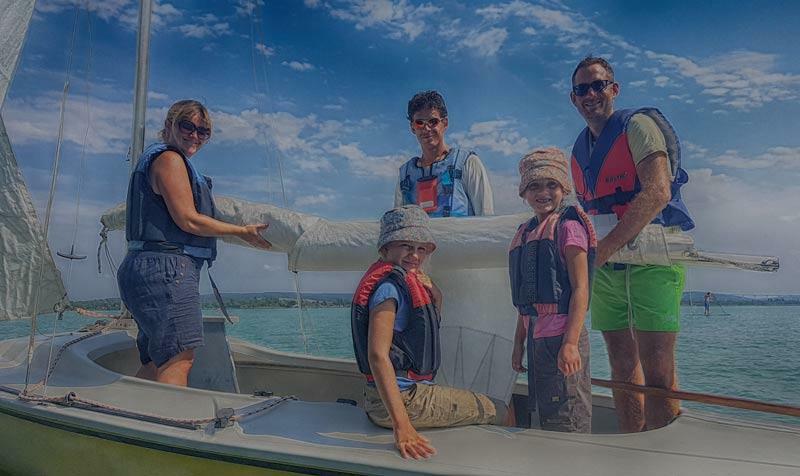 A Sailing course for the whole family. Bring your partner and kids and learn how to sail. You will spend your course withe your loved ones in one boat.